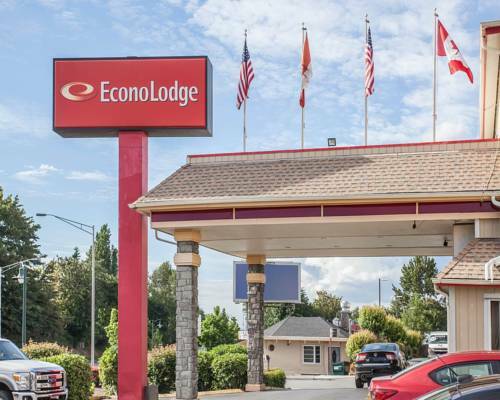 Econo Lodge SeaTac Airport North hotel in Seattle, WA is an easy stop on the road. Our hotel is near activities and sites like Pioneer Square, Seattle Art Museum, Space Needle, Seattle University and the Seattle-Tacoma International Airport, which we offer transportation to and from. Amenities include free breakfast, free coffee and outdoor parking. Guest rooms include TVs, hair dryers, microwaves, refrigerators and more! We also offer membership to the Choice Privileges Program, which gives members the opportunity to earn valuable rewards points toward airline miles, gift cards and free hotel room nights. Park/Fly Package available. Parking Limit: Length of Stay ONLY. (unless Park and Fly). Pet accommodation: 20.00 per night/not to exceed 40 pounds/2 pets per room. Verify Hotel Name and Address for Guest. Others in Area. Shuttle rides are limited to 2 per room. - Washington St. Conv. Ctr.